The recent strength in consumer income is inconsistent with real household income. Any improvement in the labour market will be offset by the end of the stimulus. The savings rate still hasn’t risen to historical averages, so that represents a coming drag. 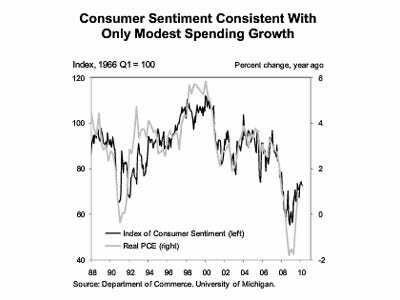 Consumer confidence data doesn’t match the current brisk rate of spending. Instead it suggests spending growth of merely 1-2%.